(MEMO) — Six Palestinian officials who were scheduled to give a presentation at the UN office in New York have been denied visas by the US without any explanation. 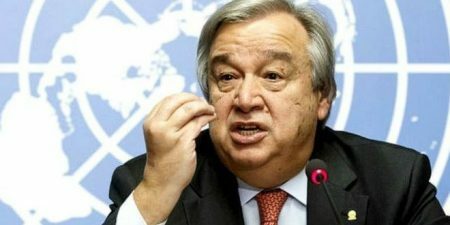 The officials were due to attend a high-level meeting on development last week to present a report on Palestinian implementation of UN goals for 2030. The Trump administration has also cut funds to the UN Palestinian refugee agency, leaving UNRWA struggling to fill a major budget gap for its education and health programs. “Information Clearing House” – UNITED NATIONS: The UN General Assembly on Wednesday adopted by a strong majority of 120 countries an Arab-backed resolution condemning Israel for Palestinian deaths in Gaza and rejected a US bid to put the blame on Hamas. “For some, attacking Israel is their favorite political sport. 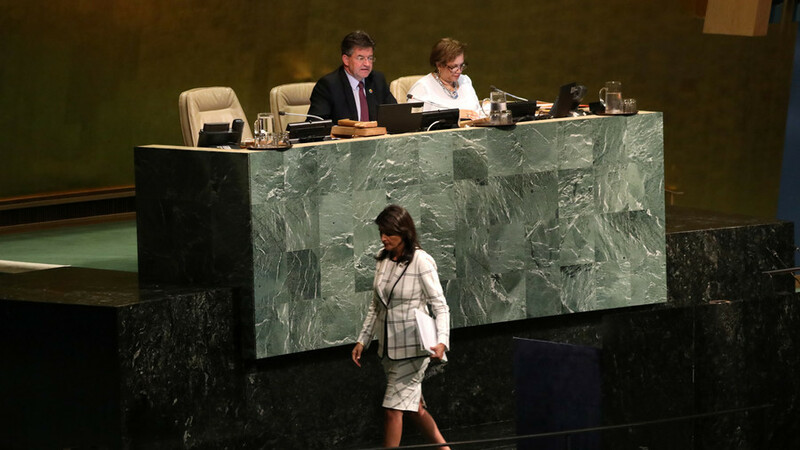 That´s why we are here today,” said Haley. The resolution deplored Israel´s use of “excessive, disproportionate and indiscriminate force” against Palestinian civilians and called for protection measures for Palestinians in Gaza and the occupied West Bank. The US amendment condemning Hamas received 62 votes in favor, with 58 against and 42 abstentions. The United States sought to challenge the ruling requiring a two-thirds majority but that was defeated in a separate vote. The General Assembly last held a similarly contentious vote on the Israeli-Palestinian conflict in December, when it rejected President Donald Trump´s decision to recognize Jerusalem as Israel´s capital and move the US embassy there. UNITED NATIONS (Reuters) – Israel withdrew on Friday from a race against Germany and Belgium for two seats on the United Nations Security Council in 2019-20. “It was decided that we will continue to act with our allies to allow for Israel to realise its right for full participation and inclusion in decision-making processes at the U.N.,” Israel’s mission to the United Nations said in a statement.